This superblock gets the closest to the heavyweight industrial mien of a port building. Conceived as an enormous brickwork sculpture, the prodigal, rectangular block has been kneaded and moulded into an angular presence in response to a small harbour building to be retained, a garden by Mien Ruys and the nearby existing sheds and canteen. 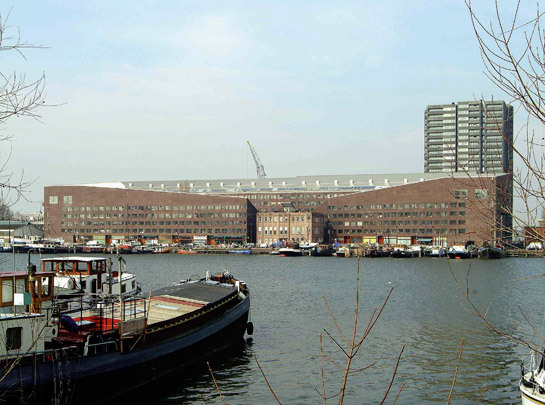 This sculptural approach, the architects claim, is their take on the Amsterdam School. Despite the refined detailing, the fine graphics of the fenestration and the subservience of the floor plans to the main shape, Piraeus fails to achieve the lightness of touch typifying that earlier movement.